The beauty of the National Park. Lake Konnevesi, glistening where Central Finland meets North Savo, is the central lake along the Rautalammi route. In the pristine waters of its wide open mid-lake areas, big predators hunt small vendace. 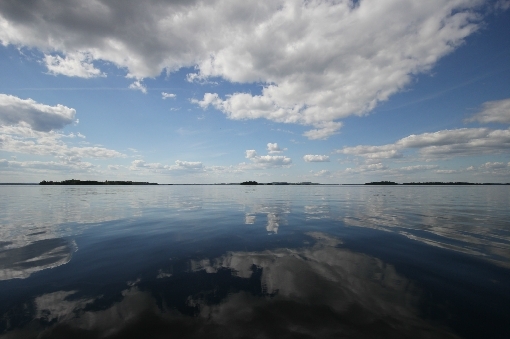 Lake Konnevesi is a limpid lake by Finnish standards, with the visible depth of its northern part measuring 5 to 6 metres, or even as much as 10 to 11 metres in winter. 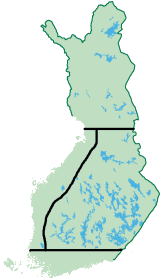 The lake is divided into two main basins by Kivisalmi Sound. 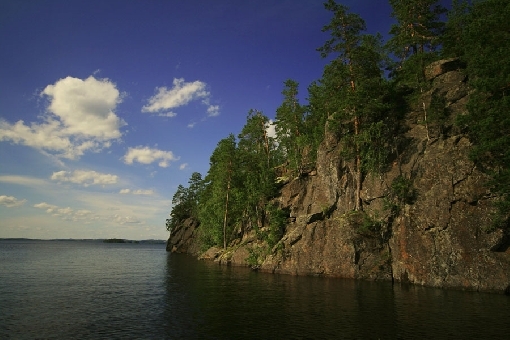 The northern basin of Lake Konnevesi (69 km2) is an oblong, northwest-southeast aligned wide open area, characteristic of the region. Its average depth is 7.5 metres, with the deepest point measuring 44 metres. Sparse in islands, the vast open mid-lake area is exposed to winds, while the thermocline commonly drops below 20 metres during the summer months. The elongated mid-lake area of Northern Konnevesi. With almost twice the area (120 km2), the southern basin is a diverse lake almost in a natural state, embracing numerous islands and isolated deeps. Its average depth is 12.5 metres and its deepest point measures 56 metres. The mid-lake areas with small islands and rocky islets, combined with labyrinthine waters with narrow bays and sounds, offer varied scenery for anglers. There are also large woody islands in this area. 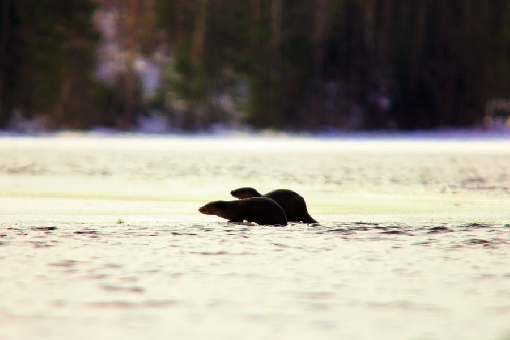 The cool waters of Lake Konnevesi are among the primary habitats of wild migratory brown trout in Southern Finland. The peak feeding times for trout are brief, as the abundant stocks of vendace are guaranteed to fill their stomachs in no time. 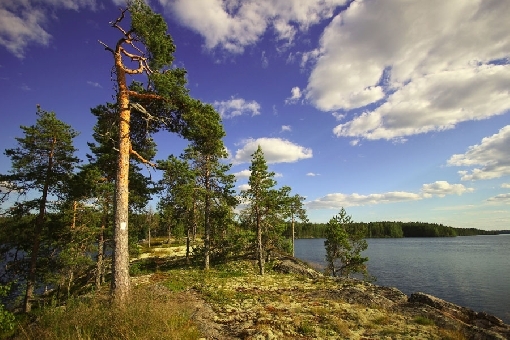 Lake Konnevesi is one of the few lakes in Finland where, on a good day, you still have a chance of catching a record-breaking wild trout weighing as much as 10 kilos. Thanks to the good nutritional situation, the conditions for catching big perch are good. Hunting perch weighing just below one kilo are common in Lake Konnevesi. In winter, anglers go after perch with balanced jigging lures at mid-depth in areas with 8 to 12 metres of water. 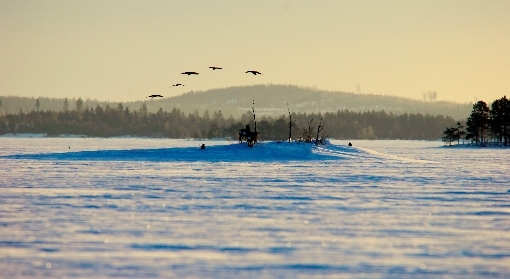 You can head out on an ice-fishing trip from the Mäkäräniemi parking area, for example. Autumn is a good perch-fishing season, when larger whoppers are sought from above and around schools of vendace at mid-depth in deep areas, using tackle such as drop shots. Photo: Jouni Lehmonen, Etelä-Konneveden ympäristön kehittämishanke. 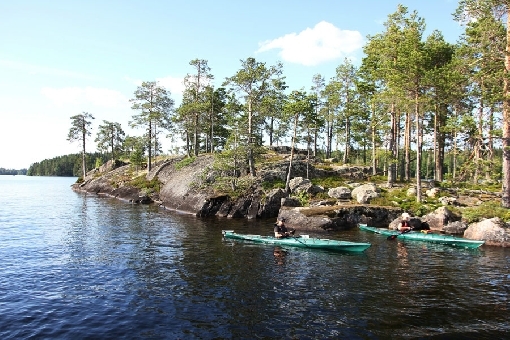 Diversely rugged and endowed with natural beauty and abundant fish stocks, Lake Konnevesi is Central Finland’s answer to Lapland’s Lake Inari. 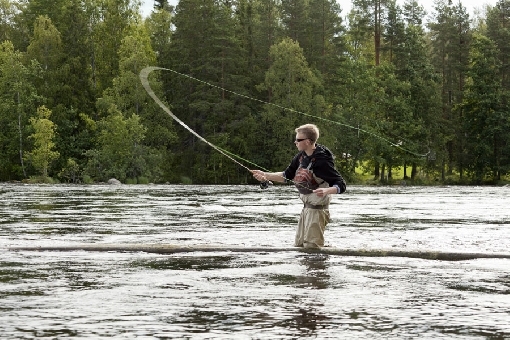 The best season for whitefish comes around Midsummer. The lake is home to an abundant stock of small whitefish, which are pursued by slowly trolling small plugs from a rowing boat where the water is a few metres deep. Good hot spots include tips of points, mouths of bays and other areas where mayflies and caddis flies hatch out to the surface. Whitefish are often poking at the surface and then you can also catch them by casting flies and small spinners. Lake Konnevesi offers an endless playing field for pike anglers. 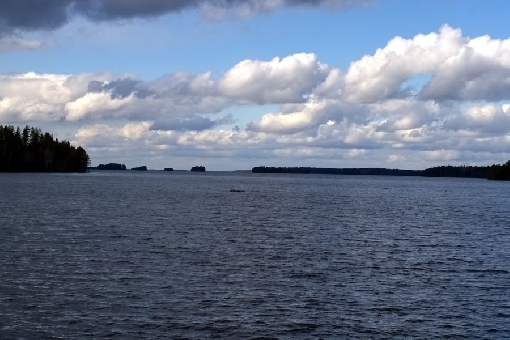 An example of a great pike site is the Pakarilansalo area. 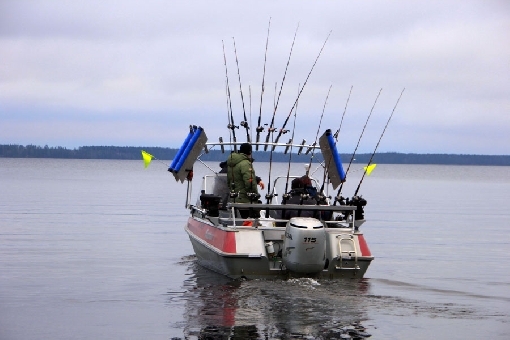 The ideal time to spin for big pike comes in early summer, when aquatic vegetation first emerges and whitefish move around the edges of gravel-bottomed mid-lake shallows. In autumn, sizeable pike strike trollers’ lures on top of deep waters, close to schools of vendace. In late autumn, trollers pursue brown trout with baitfish rigs and a variety of lures. The key sections of Southern Konnevesi are part of the National Shoreline Protection Programme and the Natura 2000 network. The Southern Konnevesi National Park was established in 2014. An echo plotter and a base map are necessary, as this varied body of water is quite rocky. At the same time, this fragmentation translates into an endless variety of fishing grounds for an ‘explorer’ heading out to the lake. While you are fishing, you can also feast your eyes on the majestic flight of ospreys. Deer on an islet in Lake Konnevesi.